Private Internet Access is a Virtual Private Network (VPN) service, which was founded by London Trust Media, Inc. in 2009. Despite its relative youth, the company has been able to rapidly increase in size and currently ranks as one of the more popular VPN providers on the market today. Based in the United States, the service is primarily advertised as a method of maintaining privacy while online, protecting users from snooping and other similar threats. In particular, the company has earned a reputation for offering its product at an extremely competitive price, while also providing excellent speeds. After completing a simple registration process, customers are given access to the client software, which must be installed on the required device in order to make use of the service. After logging in, users will have all of their internet activity encrypted, offering numerous security benefits. Furthermore, users are allocated a new IP address, using a server of their choice, granting them online anonymity. The service uses a shared IP system, which means that customers cannot be individually identified, even within the network. Users are able to change servers as many times as they want, which is a positive over many rival VPNs. Servers are located in multiple countries around the world and the VPN service can be used on numerous operating systems, including Windows and OSX. Mobile phone support is also offered. 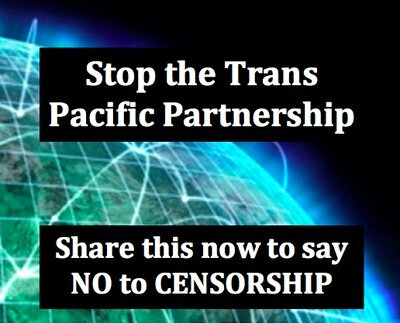 Unlike some VPN providers, Private Internet Access offers P2P support and a Socks5 proxy, which is useful for anonymous BitTorrent use. 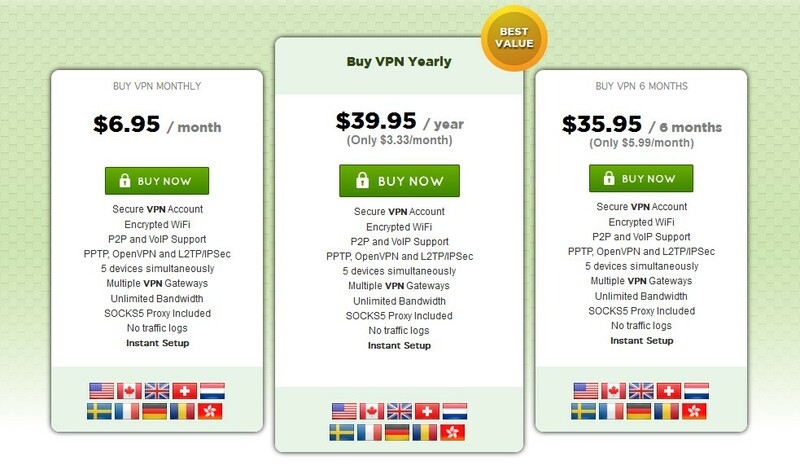 One of the main plus points of Private Internet Access, when measured against other VPN providers, is its pricing strategy. At present, customers can subscribe on a monthly, six-montly or yearly basis, with a discount offered to those who commit to the longer time frames. At present, the cost of a monthly subscription is $6.95 per month, which is fairly competitive, although slightly more expensive than some VPN providers. However, the cost of a yearly subscription is $39.95, which works out as $3.33 per month; one of the cheapest prices you are likely to find. All three pricing options offer the exact same features, including unlimited bandwidth, P2P support and the ability to use the service on five devices simultaneously. However, one downside to the company’s pricing strategy is the lack of a free trial, meaning users have to commit for at least one month. Private Internet Access uses the OpenVPN protocol as standard, but also supports other protocols, including PPTP and L2TP/IP Sec. Unfortunately, one downside is that it only uses 128-bit enryption, rather than 256-bit. On the plus side, the company insist that they do not monitor or record information on internet usage, including website visits. One especially strong security feature is the automatic internet disconnect, which takes effect if a user’s connection to the VPN goes down. This, combined with DNS leak protection, help to protect customers’ privacy whilst using the service, ensuring they remain anonymous at all times. The company do keep records of payment data and email addresses used during the registration process. However, for those who are keen on complete anonymity, a disposable email address can be used, while numerous different payment methods are available, including BitCoin. In terms of customer support and help, Private Internet Access provides an online chat function, allowing users to have direct contact with the customer support team. Outside of office hours, a ticket-based email system is also in place, with the company striving to respond to all contact as quickly as possible. Additional support can be found on the main website, PrivateInternetAccess.com, which provides an FAQ page, setup guides and other information pages, covering all of the most common concerns, issues and queries. + Good value for money, especially if customers are willing to commit to the service for a full year. + Can be used on up to five different devices at the same time. + Simple sign up process, with a huge range of payment options available, including BitCoin. + P2P support and no logs of any user data at all, including website visits and downloads. – No free trial period or money back guarantee, meaning users are unable to try before they buy. – Does not currently offer 256-bit encryption. Overall, Private Internet Access is a solid, dependable service, which offers some of the best prices of any major VPN provider on the market today. The sign up process is simple and multiple payment methods are available, while the lack of user logs is a strong plus point for the most security conscious of users. The lack of 256-bit encryption is a slight negative, although the 128-bit OpenVPN protocol should be sufficient for the vast majority of needs. Additionally, given recent revelations about the NSA, some may potentially be put off by the fact that the service is based in the United States.